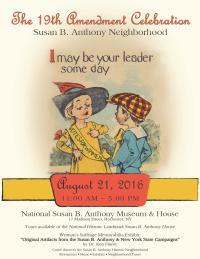 The 2016 19th Amendment Celebration in the Susan B Anthony Neighborhood will take place on Sunday, August 21, from 11:00 am to 5:00 pm. 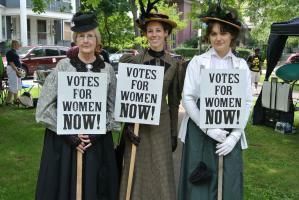 This annual event celebrates the anniversary of the ratification of the 19th Amendment to the U.S. Constitution, granting women throughout the country the right to vote. The amendment is commonly known as the “Susan B. Anthony Amendment”. The Celebration will kick off at 11:00 am at the “1872 Monument” just outside the 1872 Café, on the spot where Susan B Anthony and fourteen other women voted in that year’s general election. 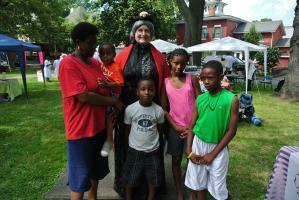 The public is invited to continue along West Main Street to the National Susan B Anthony Museum & House. Live music and historical reenactments will be provided throughout the day in the Museum’s Courtyard. 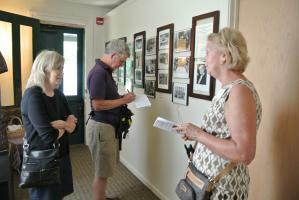 Tours of the Susan B. Anthony House will be available at a discounted cost from 11:00 am to 5:00 pm. Volunteers from the League of Women Voters – Rochester Metropolitan Area will be on site to register new voters or update current registered voter information. Self-guided walking tours of this 19th century Historic Preservation District will also be available. interpretive programs to share her story with the world. members and donors. It is not affiliated with other organizations bearing her name.